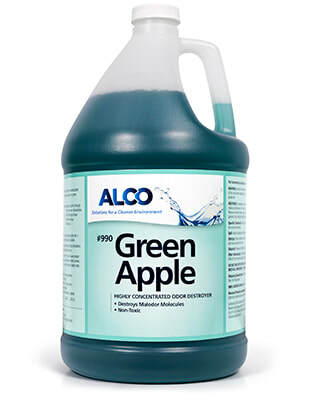 Alco Green Apple - Alco-Chem, Inc. Highly concentrated water soluble odor counteractant that destroys malodor molecules. Fortified with ODM.Green Apple has a wide range of uses where odor is an issue.